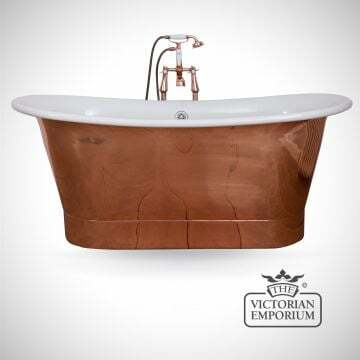 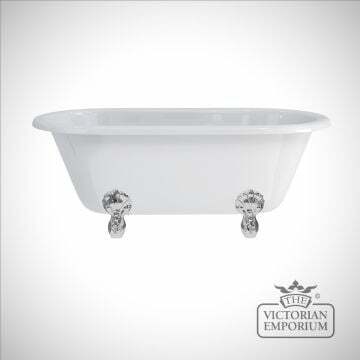 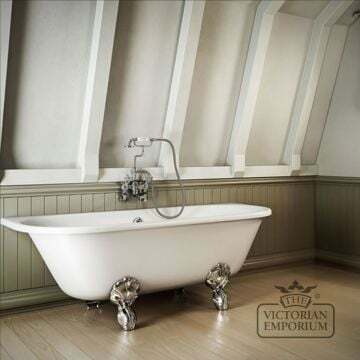 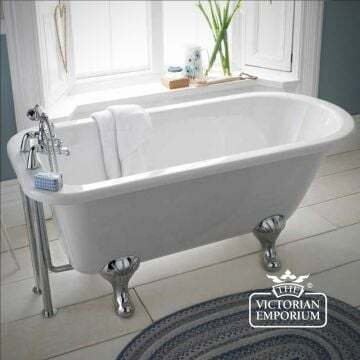 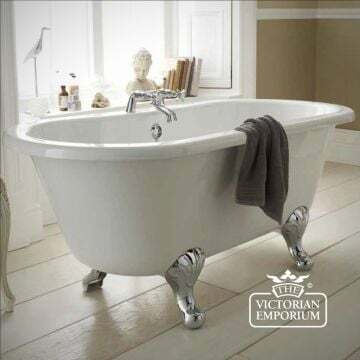 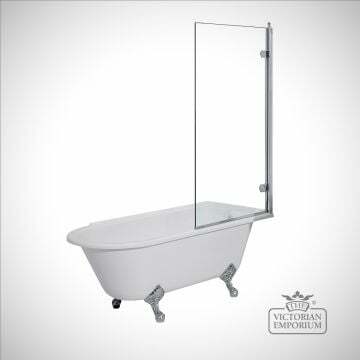 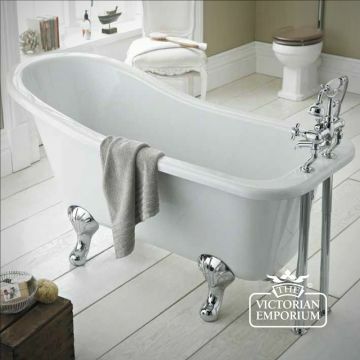 This is a classic freestanding bath with legs designed to sit up against a wall to it's side. 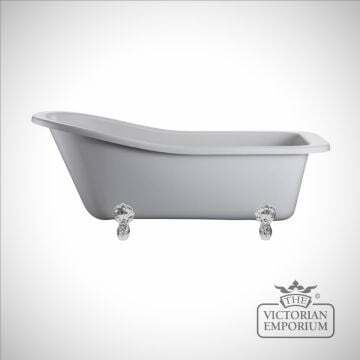 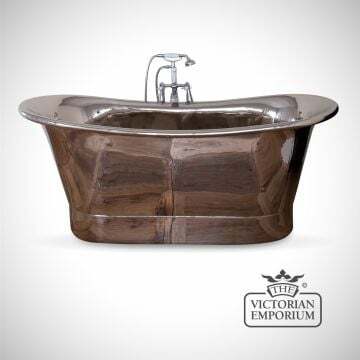 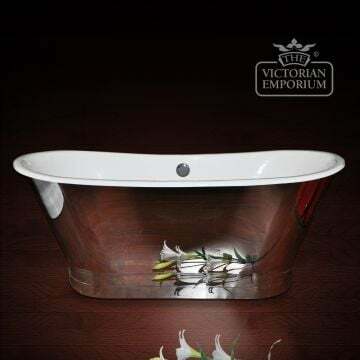 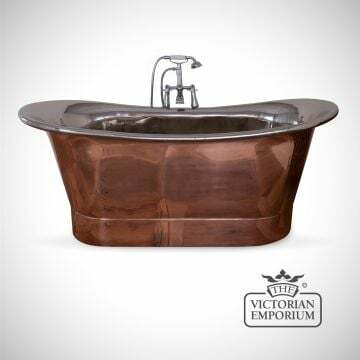 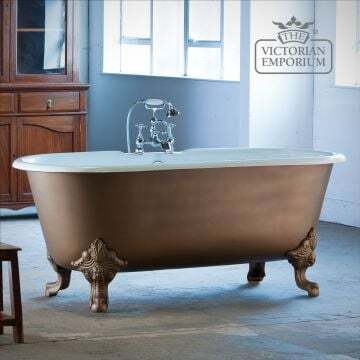 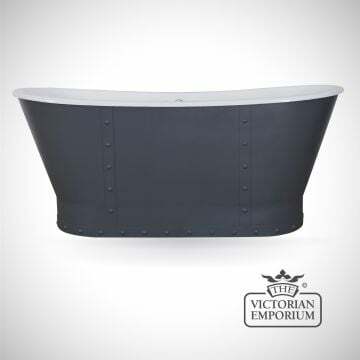 The Vancouver is a simple cast iron bath that can be painted any colour of your choice on the outside and comes without tap holes. 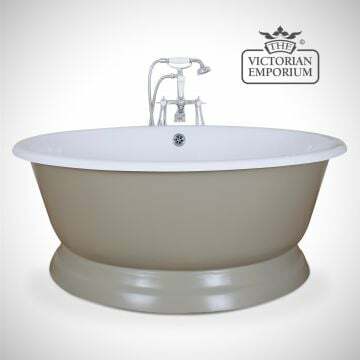 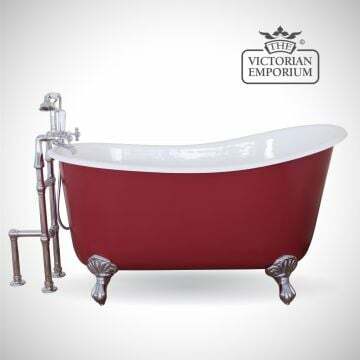 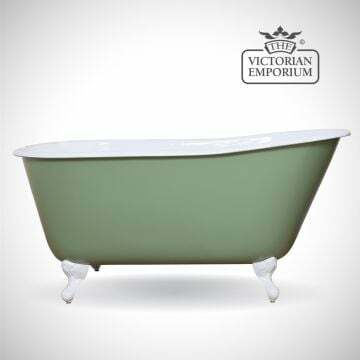 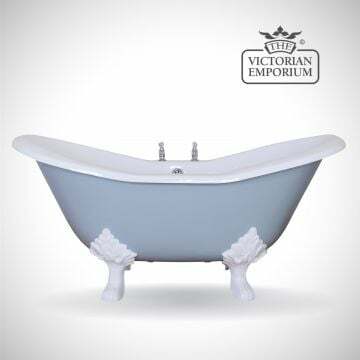 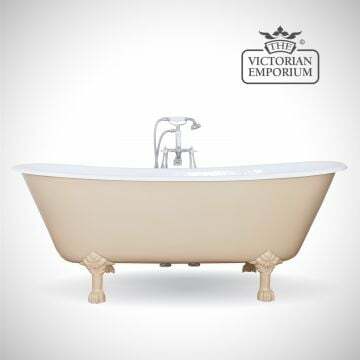 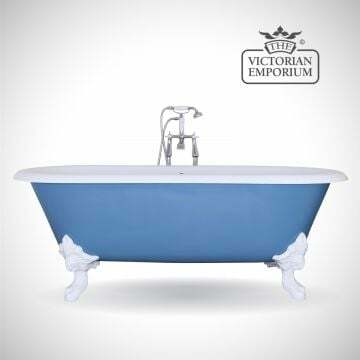 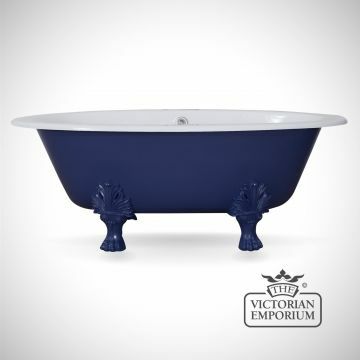 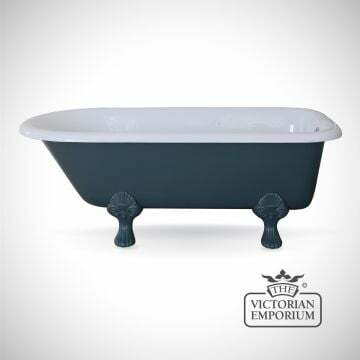 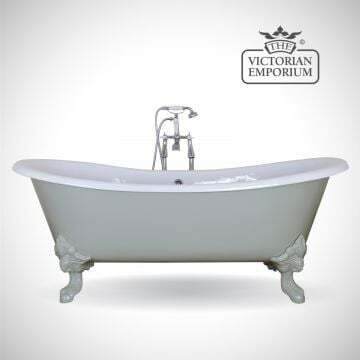 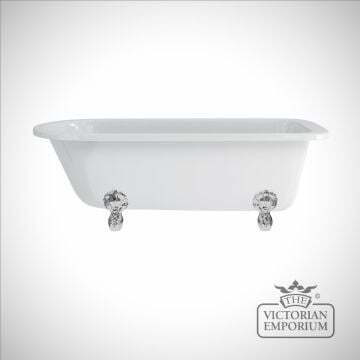 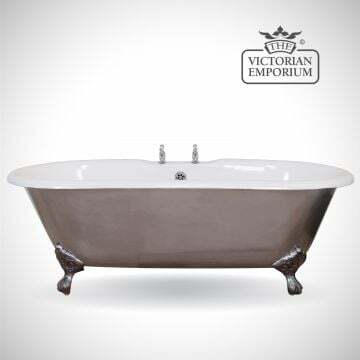 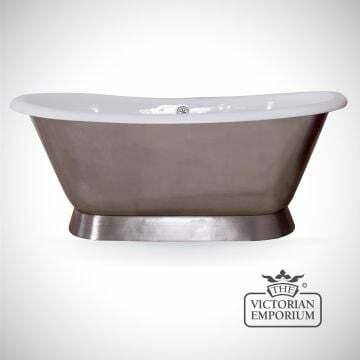 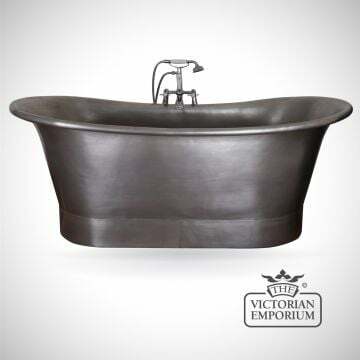 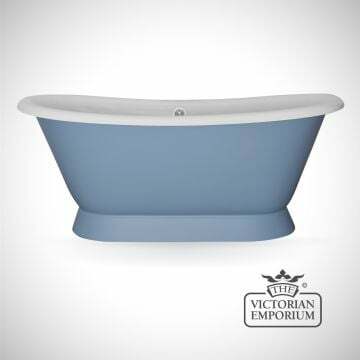 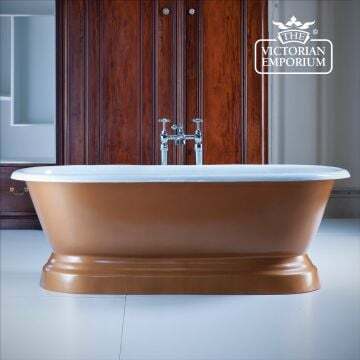 This grand and elegant roll top cast iron bath can be painted any colour of your choice on the outside. 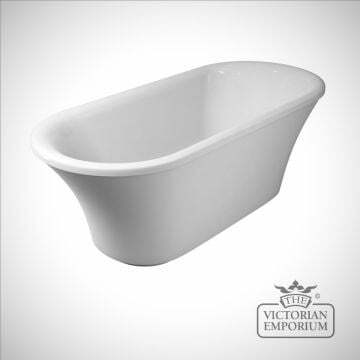 This long bath has a simple shape with a straight top edge. 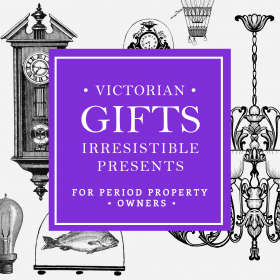 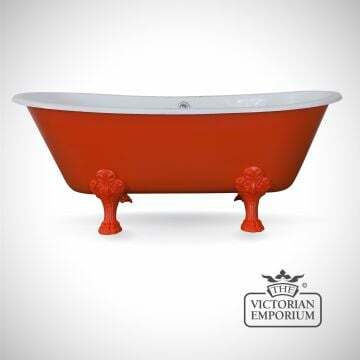 It can be painted any colour of your choice on the outside. The Lillian is a compact cast iron bath that can be painted any colour of your choice on the outside and comes without tap holes. 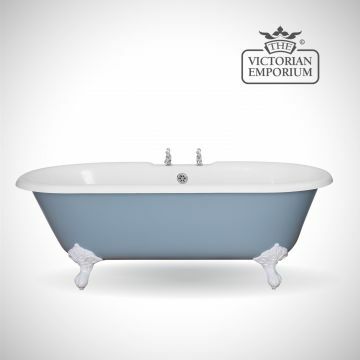 The Bisleigh is a beautiful cast iron bath that can be painted any colour of your choice on the outside. 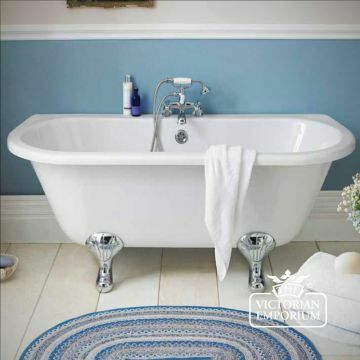 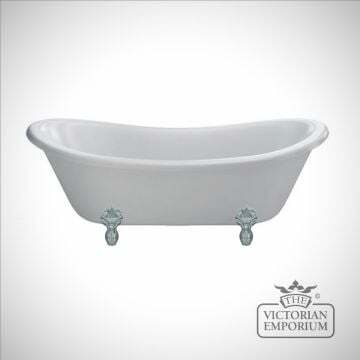 This pretty slipper bath can be painted any colour of your choice on the outside. 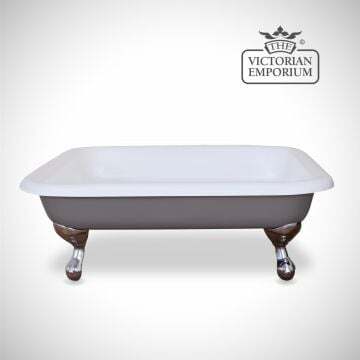 Enamelled cast iron deep roll top bath with ball and claw feet.